Closed Van Extra Space ₱6,500 Coming soon! Closed Van ₱6,000 Coming soon! The rates for the large item delivery from Manila to Pampanga provided above are based on the long haul all-in fixed price of Transportify. Pampanga to Manila long haul service is available under the L300 Van vehicle class only. Prices for the delivery service from Manila to Pampanga varies based on the type of vehicle you will choose. You can avail this for only P3,000 via L300 Van, but if you need a larger vehicle, we also offer cheap truck rental for as low as P6,000 for closed van. Send furniture, bulky food products, event collaterals, or even your furniture for house moving via Transportify Long Haul today to get affordable large item delivery from Manila to Pampanga and vice versa. Delivery service rates include driver, vehicle rental with other miscellaneous fees such as parking, tolls, and fuel. Besides, our CS is also available to support you 24 hours per day, 7 days per week so that you can contact us anytime if you need help. Our complete service is the reason why Transportify is the best logistics provider for large item delivery from Manila to Pampanga and other key cities in Luzon. Book now! As the best logistics marketplace in the Philippines, Transportify guarantees that delivery service from Manila to Pampanga and vice versa is easier. 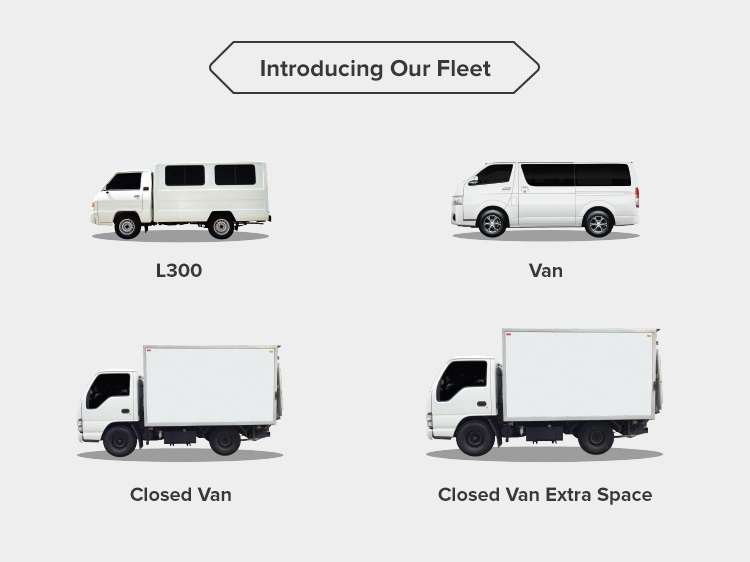 Choose from our cheap truck rental or L300 Van from the application and get the most efficient large item delivery from Manila to Pampanga for you. In addition, you can also book Transportify Long Haul service using our website. Contact us anytime, we are open 24/7 to assist you with your bookings whenever needed.